Simply place your racing hauler/trailer designs within the fully detailed presentation template to give your wrap design an instant and beautiful render. 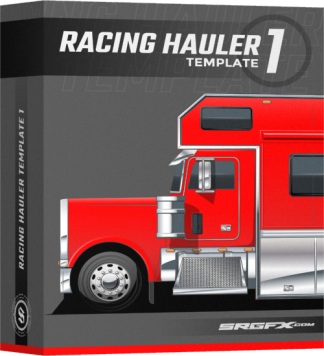 There is no better way to present your wraps to clients than with this amazing racing hauler template. It brings every wrap design to life. The racing hauler wrap/render template is built with excellence to design and display your wrap full rig hauler designs and proofs professionally and easily. Design your wrap project on the large template and simply scale down to place the design into the beautiful and dynamic racing hauler presentation template. Some layers in the Corel Draw and Flexi Sign presentation template are rasterized to resolve compatibility and user experience issues. Easily replace any color on any panel without having to pick through all the layers. 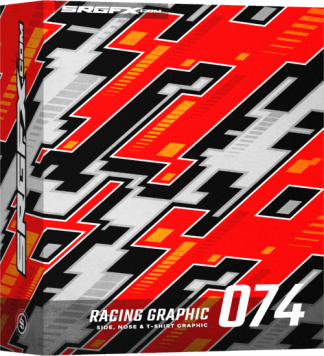 Duplicate the panels place them over your graphics and create a clipping mask in seconds. 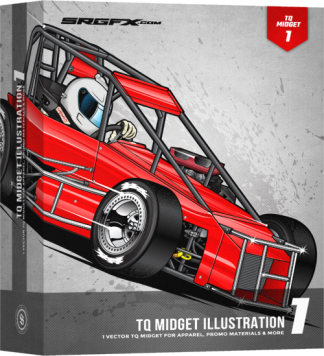 * Always attain measurements from your client and double check every measurement before printing. 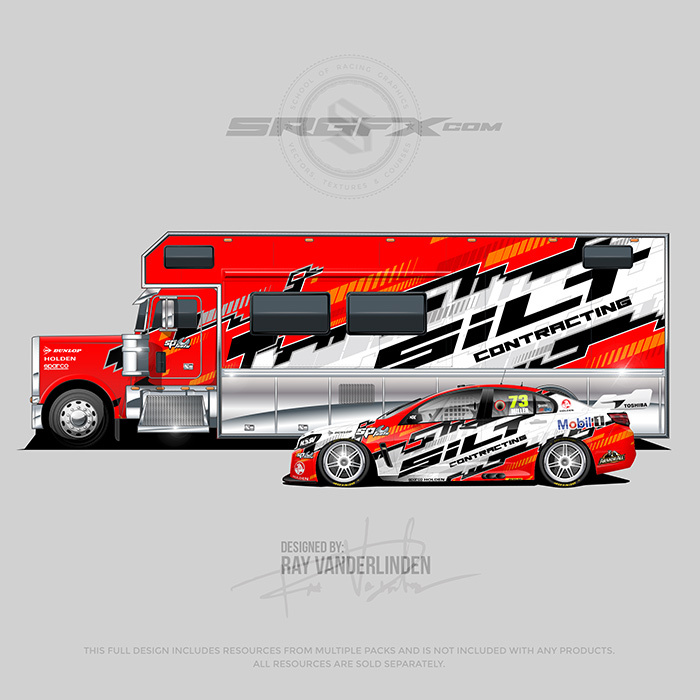 SRGFX will not be held responsible for mis registered wrap designs. No. But can be used for presenting cut graphics to your clients. Adobe Illustrator, Corel Draw, Flexi Sign, Inkscape, LXI, Photoshop, Sign Lab and all other major vector editing design software.